A portion of the registered and photographed flint material from the Eastern trench. 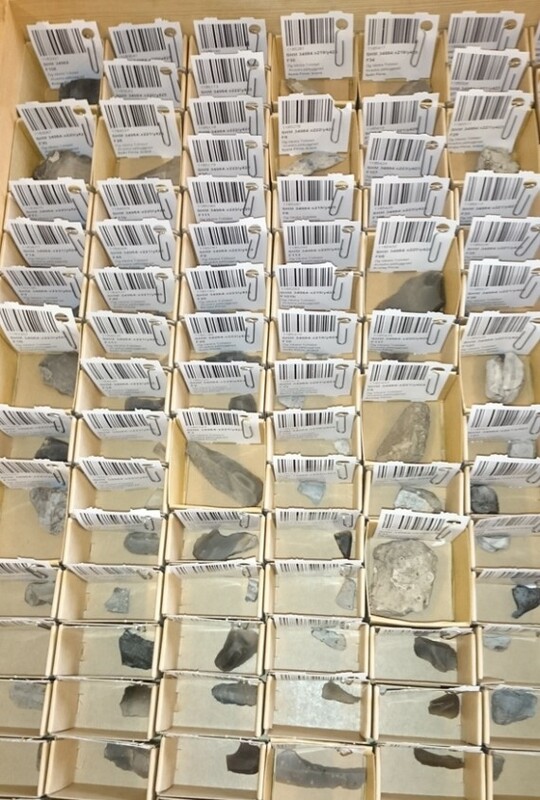 We are pleased to inform you that the flint material with find numbers from the eastern trench is now photographed and ready for you to look at. You can find all of the registered finds if you follow the link below or if you visit our website and browse your way to Sök i samlingarna! The Alvastra project wishes you all a nice weekend!